Reported in Chinese by Qiao Nong. Translated by Carolyn Song. Written in English by Rachel Ritchie. Updated at 9:32 a.m. on May 20, 2016. (Guiyang, Guizhou—May 17, 2016) The lawyers for an incarcerated house church pastor in Guiyang, the largest city in China’s inland Guizhou province, expressed their belief that their client was tortured in prison. This revelation comes on the heels of the announcement that the pastor’s case has been transferred to the court for trial and that a small group from pastor’s church was evicted. 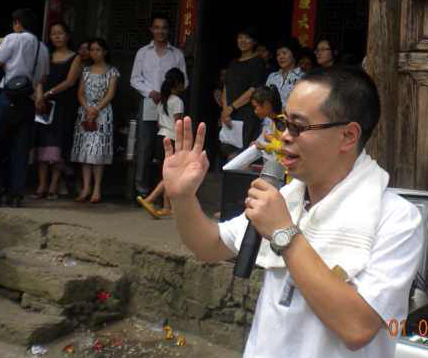 Yang Hua, the pastor of the recently persecuted Huoshi Church, was first administratively detained on Dec. 9, 2015, then criminally detained for “illegally holding state secrets,” and arrested for “divulging state secrets” on Jan. 22. One of Yang’s lawyers, Chen Jiangang, told China Aid that when he and his co-counsel, Zhao Yonglin, visited the pastor on April 22, they saw the prison official threaten Yang. Chen said they suspect that Yang has been subjected to inhumane treatment during his detention and reported that Yang was in low spirits. The lawyers are currently attempting to determine to what extent Yang has been mistreated. Yang Hua preaches to a crowd on Jan. 8, 2011. “We’ve gotten the files. ... He has been persecuted and made notes,” Chen said following the lawyers’ May visit. Yang’s wife, Wang Hongwu, told China Aid that Yang’s lawyers also visited the pastor at the detention center on May 11. Wang said that shortly after, it was announced that her husband’s case had been transferred to the Nanming District Court in Guiyang after three months of review and that no trial date had been announced. 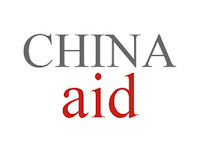 Additionally, China Aid learned that a small group from Huoshi Church was forced to relocate last week after the landlord renting apartment space to them evicted the group. Since July 2015, four individuals—including two non-Christians who helped the church—have been arrested on varying charges. Authorities later banned the church from meeting and froze the church’s bank account, which contained 640,000 Yuan (U.S. $98,100). A fine of 20 Yuan (U.S. $3) per day per square foot was imposed on the church on Nov. 22, resulting in a total daily fine of 12,960 Yuan (U.S. $1,980) for the 648 square meter (6,975 square foot) space. Three church meeting places have been sealed, believers have been followed or surveilled, and some Christians have been interrogated and warned not to rejoin small worship groups. 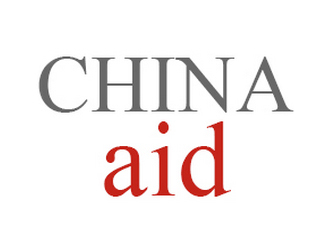 China Aid reports on human rights violations such as the incarceration of Yang Hua and the persecution of Huoshi Church in order to expose abuses committed by the Chinese government and promote rule of law and religious freedom in China.